This program was developed utilising the knowledge I gathered over the past forty years of race-going, (a member of the "Sydney Turf Club") racing several horses, while betting at a professional level, for a reasonable length of time. Endless amount of work was devoted to the emergence of this racing analysis, at first with pen to paper and a card filing system, then later I switched to computers. My previously acquired computer experience made it possible to seek answers to years of manual research in a much reduced time. It had opened up new forums that had not been addressed earlier. Now I have found solutions to many queries that formerly I was unable to decipher. I was still spending all my time on the program as before. Computers with their ability to solve bigger puzzles speedily meant that more work was done in the available time. This enabled me to analyse thousands of races in all the states, and the experience gained layed the foundation of my program that now in it’s present form is simply the best that I could have hoped for. At the start I have studied just about every turf publication I could find before I decided to implement the teachings of a book written by two American professors, namely IRA S. COHEN (prof. of mathematics) and W. D. STEPHENS (prof. of Psychology) all about Time handicapping. I was then convinced that it was a very sound base to build a program on, for it made a tremendous amount of general horse sense. The problems started with the times conversion to Australian tracks. As in the United Sates most tracks are all-weather tracks and of large circumference, it is a time and pace form students paradise. In Australia I worked with actual track records, finding it hard to successfully compare track with track, so I switched to using par-times, still I had too many elements working against me. I tried time-weight handicapping combined, and to be able to say that I had come up with a formula that actually worked and kept my ledger on the winning side, this has taken a mammoth amount of time and work, so I actually employed a person for years, just to keep my records up to date, plus help me with the handicapping for the coming weekend which started on the Thursday evening with very little sleep until after the races were over. At this time I realised there has to be a better (quicker) method to make a quid, so I became a serious "weights and measures" student. A substantial amount of general knowledge I already possessed about racing, so this was in my favour. Long before the late Don Scott’s books hit the market, I had my feet firmly planted on the ground. Reading his first book convinced me evermore so, some of the data found in his books has saved time to achieve my goal. It was to succeed with a unique program that was easy enough to use for anyone without advanced computer or racing experience, yet to be very profitable. I have studied endless handicapping methods and betting mediums on offer worldwide and to date have not yet come across any that came even remotely close to the exceptional striking rate of my program, SRA 2001 (Scientific Race Analysis 2001). Computer programming by GABRIEL HORVÁTH (BSc. Elect. Engineering and MSc. of Computer Sciences), has extended my original program to include my latest developments I regarded very useful but hard to incorporate into the program, in a truly professional yet very user friendly way. Collectively it makes for a Racing Analysis that is extremely profitable, enjoyable and quick to use. As it is common knowledge that all mechanical systems come to grief sooner or later I based this program on SOUND handicapping principals as well as taking many aspects of probability factors used astutely into consideration. These various elements suitably applied resulted in a successful selection method which is remarkably effective especially when being used for exotic forms of betting such as Trifectas, Quinellas and Doubles etc. The betting market is still regulated by "supply and demand". It is the opinion of the betting public expressed in money wagered that ultimately forms the betting market. The fact that only one in three favourite wins it’s race shows that the public is wrong two thirds of the time. This insures that two out of three favourites are at bad value odds since they have no winning chance. When a horse wins at good value odds we often say in hindsight, it should have been the favourite! Would I pay $10 for a $20 note? Would I pay $20 for a $10 note? Both questions are easy to answer, because they are readily quantifiable, but would you know if a horse is quoted at 7/4 should not positively be at 6/1, or another quoted at 9/1 should positively be at 3/1 instead.. The secret is to be able to forecast with reasonable accuracy just how closely will a horse repeat its best known performance again. Expressing that prediction as the winning chance against the ratings of other contenders (similarly calculated) in the same race. It is then relatively an easy matter to formulate a set of prices which will be more accurate and better informed, than those which the public blindly accepts due to newspaper polls, broadcasters opinions etc. To accomplish this, my program is your step forward. It will accept information you supply it from your racing form about a given race, translates it into a set of realistic prices having regard to such factors as class, weight, present fitness, consistency, barrier draw and the ability of the rider engaged, and many other factors. SRA 2001 supplies a unique penalty system for the lack of recent racing, and will warn you for instance, if the race was not on a Saturday so that you can apply midweek class ratings, as well as Sunday's racing just to mention a few variables that will be expressed in a clear and comprehensible way. A secondary simultaneous back-up system is operating during keying in, for easy crosschecks, as well as every separate entry can be corrected, (for each horse) without interfering with the rest of the data. Late scratching recalculating facilities, adding additional horse(s), storing the information to your hard drive for convenient instant retrieval. The program also has a simple but well designed print facility for your convenient filing of all bets made, results, bank balance etc. There are over 40 tracks in the 5 states listed (Tasmania excluded); these are the tracks that the race meetings are held at most frequently. They include all relevant information such as the distances which races are run at, and their Barrier Tables, so that each horse will be handicapped according to its barrier draw. 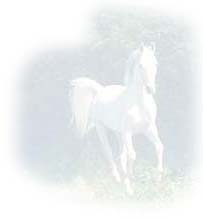 SRA2001 will prompt you for the number of horses that you would like to include in the calculation. You can choose between two type of odds, namely the so-called calculated computer odds; and the latest odds to be used in the calculation. After the data-entry process the program makes up its set of infallibly accurate odds (called calculated odds in the manual) both in fractions and in winning percentages (according to your preferences) for each contender. You can also enter the odds available up to the closing of betting time at the TAB or the Bookmakers (these odds are called your odds in the manual). The later can be varied at a moment’s notice due to price changes, scratching etc. You can select a horse to use it in standout betting. The result of the calculation of the betting combinations can be sent to the Printer, to the Screen or Both. We consider the financial management of our betting bank as important as the evaluation of the horses and the calculation of sophisticated betting combinations. At present, we use our long-tested and successful banking method with the help of an automated MS Office Excel spreadsheet. This program is very user friendly, therefore a reasonably knowledgeable racegoer will find it a joy and very profitable to use, yet even an absolute novice will profit from it, if he reads his form-guide carefully before he replies to this program’s very well defined and concise prompts. I suggest in Australia to use the "SPORTSMAN" newspaper as your standard guide as it provides a 4-state coverage, including provincial meetings. It is accurate enough to have given me the results which I have achieved. Alternatively there are many sources that offer the relevant information that can be downloaded through facilities such as the Internet, from various places even the TAB has it’s own WEB page now, which supplies a lot of the relevant information. There are many other services available that are specialising in providing the form needed to make every post a winner using our program! Using the "Sportsman" paper after a few dummy runs you should be able to analyse an average race less then a ½ hour and you certainly do not have to be a computer guru to feed in the information the program’s prompts will ask for. In the near future a Windows version will be available for those racegoers only who have obtained the DOS version now. It will include complete bank-managing system, additional interfaces for automatic data download from the internet, easy to use graphical tools, such as drag-and-drop, tables, histograms, graphs to calculate your ratings. The new SRA2001 is intended to guide you through the whole money-making process: automatic data input, horse selection, evaluating your odds and ratings, calculating betting combinations and managing your money. Although the program always prompts you towards the next logical move, the booklet will contain the handling of computer, and some well defined practical punting hints to help you pick winners. An up to date Jockey Ratings sample, as well as a Negative and Positive Factors listing that comes into play, and the Standard Correction Values that I have been using so successfully over the years will be included in the users guide. The booklet is organized into three parts: racing concepts, computers in handicapping, and the tips and modes of using SRA2001. Appendices explain some additional topics: changing the configuration of the program, Pittsburgh Phil's racing maxims, jockey rating table, the program's DOS shell features, lists of available navigation keys and the major screenshots of SRA2001. In Part 2, Chapter 2.1 introduces the basic handicapping concepts: necessary data, evaluation methods, patterns of predictability, Standard Correction Values, etc. while Chapter 2.2 glances at different betting types currently available in Australia. Readers familiar with racing terms may skim over these sections. Part 3 describes how computers can and does help us with the above three basic topics: data, evaluating horses' performances and calculating betting combinations, respectively. Part 4 discusses how to get the most out of SRA2001. It contains practical solutions to readers' queries. Chapter 4.1 addresses race database issues, such as how to save races and find them later on; a brief survey of file maintenance and the implemented log file system. It is easier than you think. It gives some guidelines on making printed sheets from the evaluated races. Chapter 3.2 gives you all the details on entering and correcting data. Chapter 4.2 contains all functions we have found very useful in the past years. This includes scratching and deleting horses from the fields; final amendment of horses' weights; rethinking of the bonus/penalty system in accordance with the changes of the field, etc. Finally, Chapter 4.3 presents advanced betting methods and their support in SRA2001 to exploit exotic betting types. Ring to arrange a personal demonstration! I am sure you will be as happy with SRA2001 as we are.